Gary Pheabus believes his burgeoning fishing lure business is ready to hit the retail market. The military veteran received $23,000 in cash and services to help make that dream a reality as a result of winning first place in the Veterans Florida Entrepreneurship Program’s pitch competition held Saturday, May 5 at the University of West Florida College of Business. 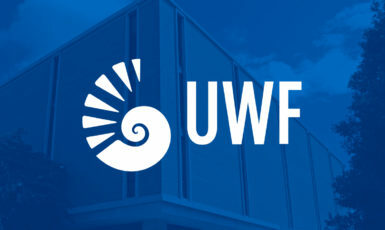 The “Shark Tank”-style contest was the final part of the program, which began in January, and was offered by Veterans Florida in partnership with the UWF Military and Veterans Resource Center. 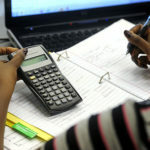 The series of classes provided mentorship and guidance to military veterans who want to start their own business. Robert Foster, an entrepreneur and veteran who served during the Vietnam War era, was the coordinator for the program. Pheabus said the fishing lures produced by his Crappie Candy Bait Co. “look, feel and swim” like juvenile bait fish. He said his product is designed to help spur children’s interest in fishing. 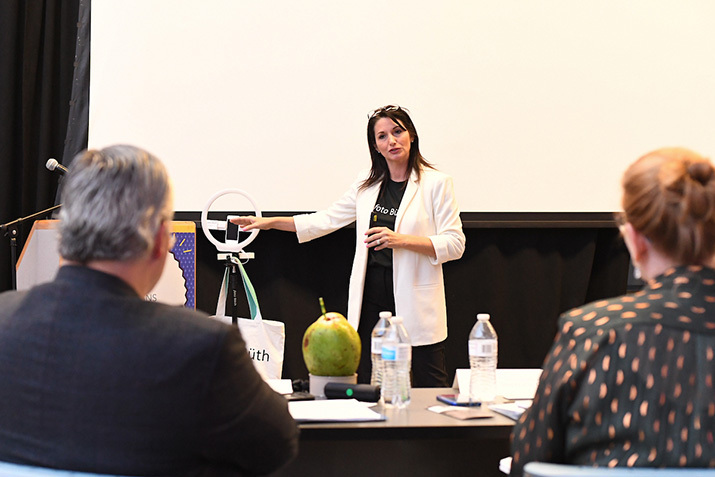 Taking second place in the pitch competition and winning $8,300 in cash and services was Alex Hill, who started a business selling Florida coconuts at a mobile kiosk in HarborWalk Village in Destin. He is now looking to expand that business, which in addition to selling coconut water would turn the husks into either coir fiber to sell to textile industries or coco peat, a type of mulch. “Not only will Florida Coconuts boost the economy by adding more jobs to a rapidly growing industry, we believe it will be very influential in increasing Florida’s largest industry—tourism,” Hill said. The third-place winner in the pitch competition, receiving $5,000 in cash and services, was Braxton Betts, who wants to open a shooting range called the Copper Petal geared toward women and novices to shooting. “We are a gun range that specifically targets women, first-time shooters, a person who is uninitiated, has never picked up a gun, has never fired a weapon—and the average Joe,” Betts said. After the pitch competition, a graduation ceremony was held for the 15 students in the program. “You are the future, and you can light the path for other veterans to follow,” Harden said.